This guide is designed to take you through the full setup of the TxtSync integration into Microsoft Dynamics. The guide will explain what the integration does and how it works. The setup process has been documented in Dynamics 365 but it also applies to Dynamics 2016 on premise. This section of the guide will take you through the process of getting everything up and running. If this is your first time using TxtSync you will be able to set everything up without any cost so you can trial the system. This includes a 14 day trial with Synchronisation. To signup for free to TxtSync click on the big button below. You will need to fill out a few basic questions and agree to our terms. Once you submit your signup keep an eye out for your confirmation email. You will need to verify your email! 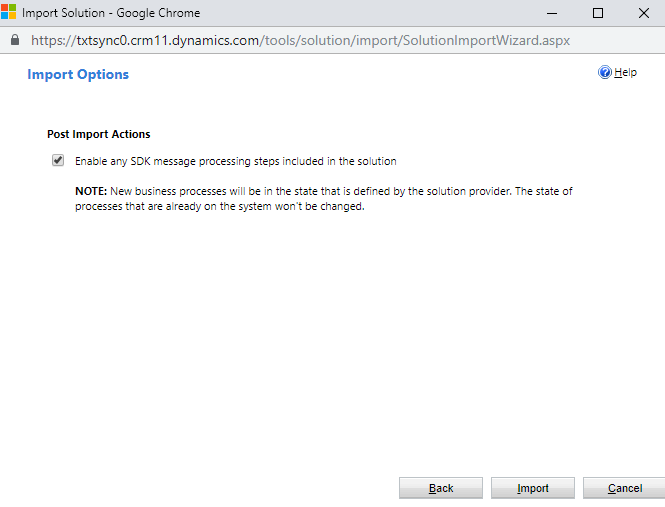 Next you will need to download and import the TxtSync managed solution into Dynamics. In order to do this your user will need to have the System Administrator security role. Note: As our solution is managed it can be removed at any point so long as no dependencies have been built on it. Removing the solution will remove your SMS history from Microsoft Dynamics. The relevant Dynamics solution to your system can be downloaded below. 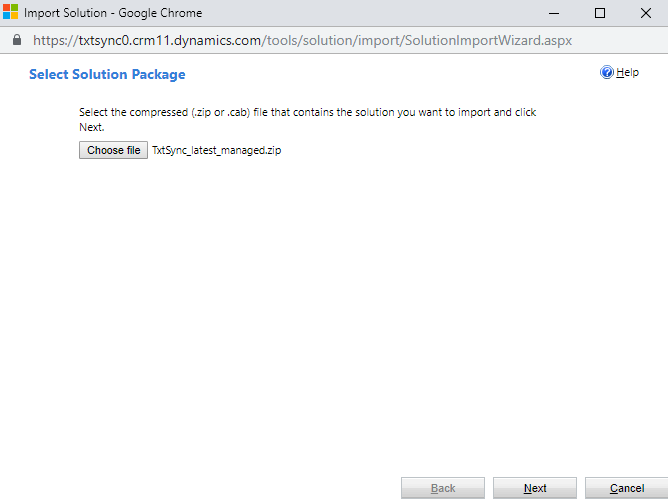 Once the managed solution has been downloaded follow the steps below to import it into Dynamics. From the sitemap menu click Import. Select Choose file and browse to where you saved the managed solution. Click Next on the Solution Information screen. Leave the Import Options as they are and click Next. Now you will need to configure Dynamics so that it knows how to connect to TxtSync. Sounds scary but don’t worry its super simple. From within Dynamics navigate back to the Solutions area and open up TxtSync. The configuration page will open. 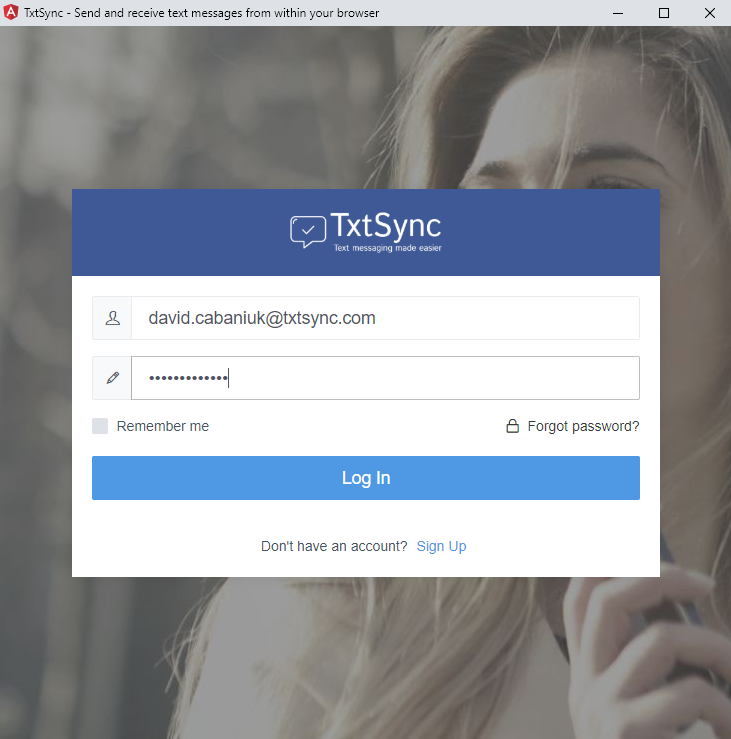 In Step 1 enter your TxtSync username and password and click Setup Connection. 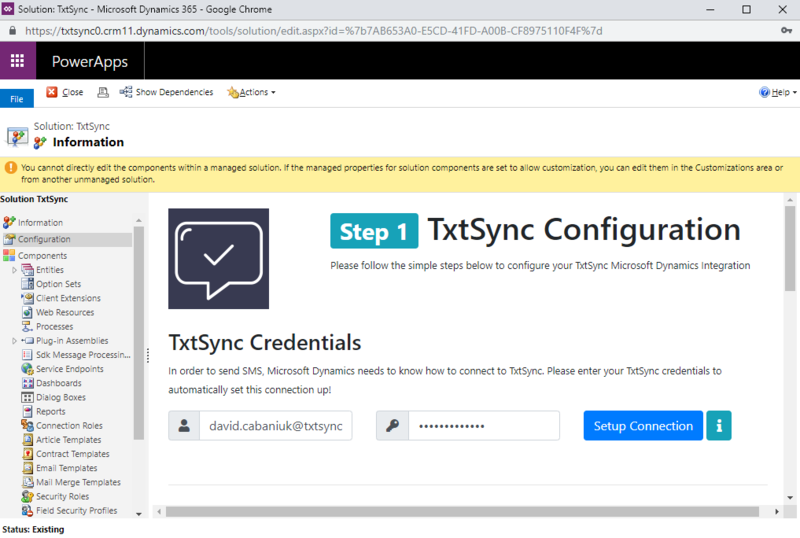 On entering your TxtSync credentials we create a Dynamics Application inside TxtSync. This application contains a client Key and Secret that are returned back and saved inside Dynamics. It is these credentials that are used by Dynamics in order to tell TxtSync to send text messages. TxtSync will also assign the TxtSync security role to all the Dynamics users in the system. This role gives basic read rights on our TxtSync configuration custom entity. It also allows read and write privileges to the TxtSync SMS activity records. The next stage (step 2), is to setup Synchronisation, this service powers the CRM integration and requires a monthly subscription. The pricing for Microsoft Dynamics Synchronisation can be found here. Note: Your first Synchronisation profile is free for 14 days. TxtSync’s Synchronisation allows for a seamless user experience between Dynamics and TxtSync. When Synchronisation is turned on it allows TxtSync to match, and store sent and received text messages against the relevant contact, account or lead. Combining Synchronisation with the TxtSync browser extension gives the ability to screen pop with contact info when you receive an inbound message. What’s more, with the browser extension activated you can be outside of Dynamics and still send text messages and have them synced into the CRM! Choose the entities that you wish to sync on. By default Account, Contact, Lead and User sync is turned on. The URL to access Dynamics with will be populated by default. Make sure that it is correct. Choose your connection method. If on premise with Dynamics 2016 your options are Active Directory or Internet Facing Deployment. 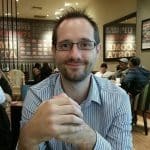 If using Dynamics 365 you will need to select Dynamics 365 Server Authentication. Depending on your selection you will need to enter the credentials of the user you wish to sync as. 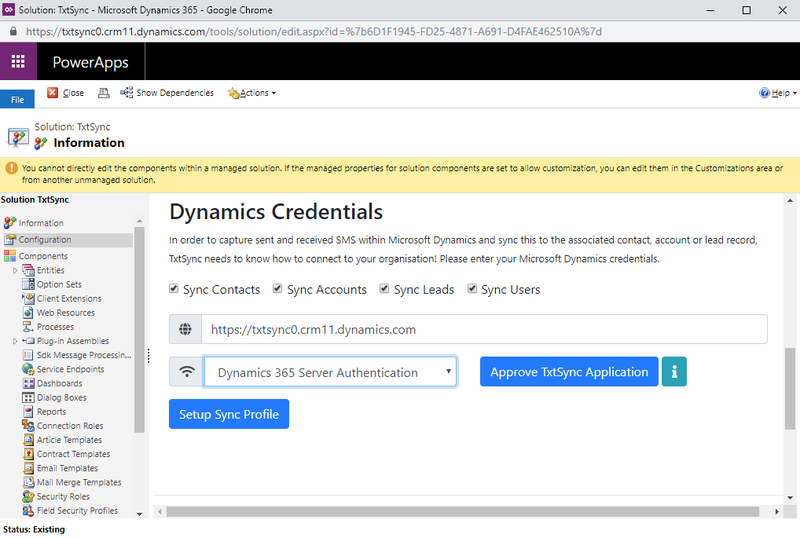 If you select select Dynamics 365 Server Authentication you must approve the TxtSync application for use in your Microsoft Azure AD tenant by clicking on Approve TxtSync Application. Within the Create Sync Profile popup click Create. The synchronisation order for Dynamics is Leads, Account and Contacts. This means Contacts is the highest priority. Phone numbers uniquely identify a person. If a given phone number exists as a Lead and Contact, the Contact record will be synced as its the highest priority. Sync occurs onthe following fields: mobilephone, telephone1, & telephon2 for Contacts, telephone1, telephone2 & telephone3 for Accounts and mobilephone, telephone1 & telephone2 for leads. “Contact” Synchronisation occurs in realtime. 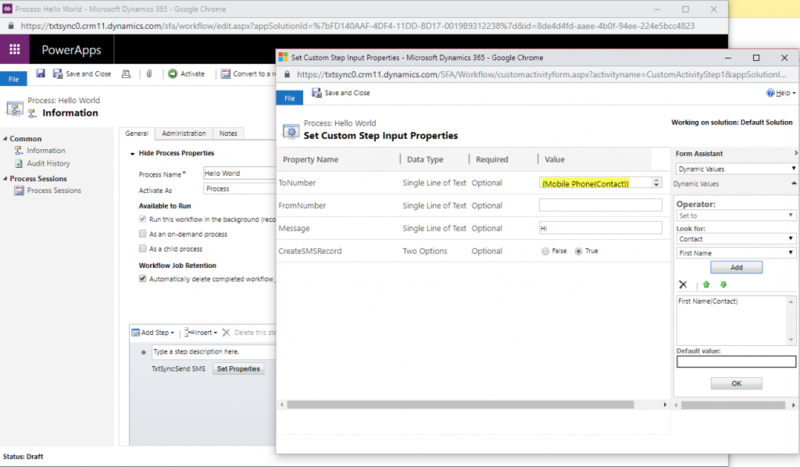 TxtSync will never create or delete contacts in Dynamics. Deleting “Contacts” in Dynamics will not remove them from TxtSync. Only Active “Contacts” that have their Contact Preference set from SMS to Allow are synced. SMS Statistics are automatically updated through sync. You don’t have to synchronise your account, contacts and leads records. If you don’t, SMS will still be pushed into your CRM, but the SMS records won’t be linked to any contact, account or lead. The TxtSync browser extension allows you to send and receive SMS directly from your browser. To download the extension click the big button below. When in the Chome webstore for TxtSync click Add to Chrome. Click Add Extension on the popup. Once installed the TxtSync browser extension will ask for TxtSync Credentials. Enter the details of the user to run as. The extension can be access from the top right of your browser. A TxtSync group is added to the Sitemap so that you can quickly access SMS records. Keep track of sent and received SMS against the relevant contacts. From the entity menu you can access TxtSync features. Automate your text messages through workflow. If you are happy with our integration and wish to go live you will need your account verifying. To make the request click on Verify Account on the TxtSync Dashboard. Once verified add a payment method to your account in TxtSync. You can rather use auto top, which is recommended when using SMS automation to ensure your service isn’t disrupted or you can paid to account on demand manually. When your payment method is activated you will be able to make purchases such as renting dedicated numbers to capture inbound SMS. SMS is powerful and people who wish to do harm know it, and will try to exploit it. We make sure that everyone using our SMS services are doing it for legal reasons.